Last year, Infomaniak’s news was full of improvements. We brought very high-availability hosting to the masses, launched a hosting offer for students, expanded the hours of our tech support and above all, made many improvements to all of our services and infrastructure. In 2018, Infomaniak will gradually hire 40 new employees for our Research & Development team. The goal? Expand Cloud services, launch new services aimed at professionals (Load Balancer, Elasticsearch server, Apache Solr, etc.) and meet the needs of our clients on our current products. It is an opportunity to take stock of the many new features awaiting us in 2018. Highly anticipated by our clients, Domain Privacy will protect the confidentiality of your private information in Whois. Thanks to this new feature, hackers, spammers and marketing companies can no longer use your identity for commercial or criminal purposes. The launch of this new feature is coming soon, and this protection will be activated in just a few seconds for over 380 domain extensions. As a top-rate Swiss registrar, each year we see thousands of companies have their website shut down and their email addresses blocked because someone forgot to renew a domain name. In order to deal with this problem, which may end up costing millions, Infomaniak will propose a solution that is unique on the market and will provide the guarantee that you will never lose a single domain name: Renewal Warranty. The democratization of smart objects and home automation means being able to easily access devices while travelling. The problem is that the vast majority of individuals do not have a fixed IP address and it may be complicated to link a domain name to an IP address that renews regularly. In order to meet this need, Infomaniak is studying the possibility of offering a service to easily synch any dynamic IP address with the domain name or sub-domain of your choice. Practical for managing a home storage service or any device connected to the Internet. 2018 will see the arrival of a PaaS Cloud server (Platform as a Service). This new product will deploy your service in a few clicks with the hardware and software configuration of your choice. This saves an enormous amount of time, since managing the operating system, server applications and databases will be handled automatically! Another development provided by this technology is that server resources can be managed in real time based on the load required by your websites and applications. This increased flexibility will result in cost savings since only the resources actually used will be charged. The guarantee of providing your websites with solid performance at the best price. For managed Cloud Servers, the priority this year is to enable you to automatically install the components, cache engines and languages you need. You will no longer have to contact our support to install node.js, mongodb, memcache, varnish, etc. You will save valuable time and be able to try out new technologies easily. Managed Cloud servers will also benefit from expected improvements for Web hostings (cost-effective handling of EV SSL certificates and the introduction of a website generator). Unmanaged Cloud servers will also be developed. In particular, we plan to add an advanced recovery feature in addition to the possibility of creating snapshots. You will be able to back up, recover or restore a server in just a few clicks. Another upcoming feature is the management of incoming and outgoing ports, which will increase the security of servers upstream. Web hosting will be enhanced with a website generator. For Web hostings, the main three up-and-coming new features are support fornode.js, easier handling of EV SSL certificates and the introduction of a website generator. 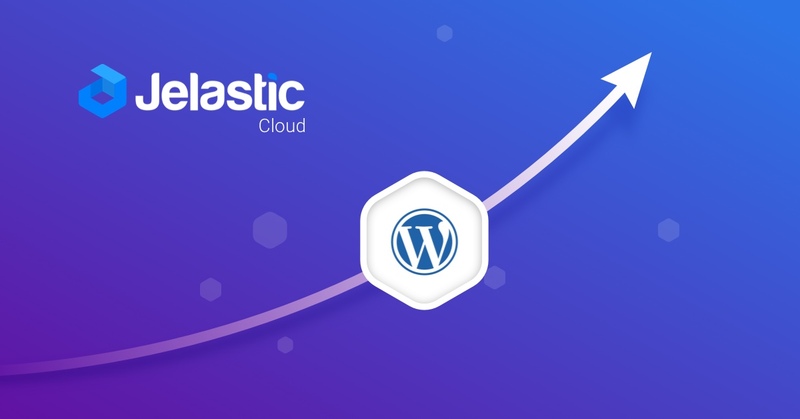 Infomaniak will still recommend WordPress for its flexibility and scalability, but we would also like to meet clients’ demand to create websites very easily and without taking the time to come to grips with the logic of WordPress. Thanks to the website generator, anyone who knows how to use word processing software will be able to create an attractive site adapted to mobile devices, with its own domain name and email addresses. Since its launch, our newsletter tool has seen exponential growth and we are happy to help send out several million newsletters each month. As part of the evolution of this tool, we have provided a scenario editor, the option of conducting A/B tests and an improved interface and statistic presentation. In addition to sending your newsletters manually, you will soon have the option of planning automatic mailings according to specific conditions, which will open up new possibilities for your sales activities. As announced in our last press release, Infomaniak’s “Swiss made” Cloud storage service is still in development and will eventually position itself as a Swiss alternative to Dropbox. When it is released, the service will back up workstations and servers, and we will gradually add new features to it, such as data synchronization. We are preparing for the future of the WorkSpace. We have already started designing the future interface of our online messaging service. In addition to being entirely designed and hosted in Switzerland, this new evolution will be much more responsive and fully adapted to mobile devices. As well as this graphic overhaul, other improvements aimed at further increasing the security and confidentiality of your email are also planned. Already begun last year, the total overhaul of our on-demand audio and video service is progressing. We have completed the majority of the invisible part, which will handle the processing and storage of media, and we are now going to focus on the new user interface and the final technical details. Support for the latest technologies: HTML5 player compatible on all supports, automatic adjustment of video and audio file quality based on Internet connection (adaptive bitrate streaming), etc. In order to release this new platform as soon as possible, it will first be available for new orders, and we will then develop an automatic migration tool for our existing clients. No action will be required and this change will be accompanied by an attractive update of our pricing. Also begun last year, the overhaul of our video and radio streaming service is making very good progress. For Streaming video, we have already migrated all of our clients to a new infrastructure equipped with a new, latest generation server. Until the official release of the new platform, we still need to finalize the new interface and incorporate the latest developments, such as dynamic streaming and the management of several formats and codecs (MPEG DASH, Apple HLS, RTMP, etc.). Among the other planned improvements, you will be able to broadcast 360° videos, share a real-time streaming video on Facebook and transcode your videos at any time to other resolutions and formats. For Streaming audio, we should also be able to release the new platform this year, with its host of improvements and new features: support for the Triton advertising ecosystem, automatic adjustment of radio quality based on Internet connection, HTML5 player compatible with all supports and a total overhaul of the user interface and statistics. Launch of a brand new service for organising your events. All Infomaniak clients will be able to use a brand new online service this year for easily managing and organising events, such as a birthday, a company outing or even an opening involving thousands of guests. Everything is possible and within clicking distance: verifying guests using a mobile app, managing invitations and reminders, tracking and statistics on registrations in real time, managing different categories of guests, etc. Many well-known organisations, like the Montreux Jazz Festival, EPFL and the Montreux Comedy Festival, are already using our online accreditation and box office services. We are eager to share this new tool with you, which is also of interest to individuals and companies. You asked for it, and we will soon be adding the option to pay your invoices automatically using a credit/debit card, PayPal account or your prepaid account. By activating this option, you will then be informed transparently before each renewal, and we will also inform you when your payment method is about to expire. You will be notified in real time when your services are undergoing maintenance. We have been working for several months on implementing a notification tool to automatically inform our clients when an event is effecting the functioning of one of their services. Starting from its deployment, you will be notified in real time when we need to make an intervention on one of your services in order to reestablish its optimal functioning or improve it significantly. This year will also mark the end of the development of our products in the Manager, the new interface of your admin console. In the coming months, you will be able to manage all of your products in the Manager, which will also enable you to use our API to administer them from your own tools and apps. This update will not require any action on your part and will enable you to administer your Infomaniak products even more easily. 2018 will be a year full of new features and improvements. Of course, this road map is not exhaustive and will evolve based on your feedback and technical developments, but it gives you a good overview of our determination to improve and develop our services to offer you the very best. We would like to take this opportunity to thank you on behalf of Infomaniak for your loyalty and again would like to wish you a very happy new year.